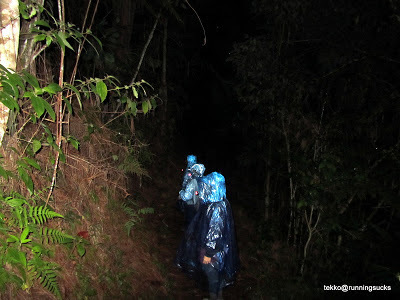 A lot of my friends had during their long ultras, ran in the forest in the middle of the night. Me? Never did an ultra and have never step foot in any jungle or forest in the night at all until now. 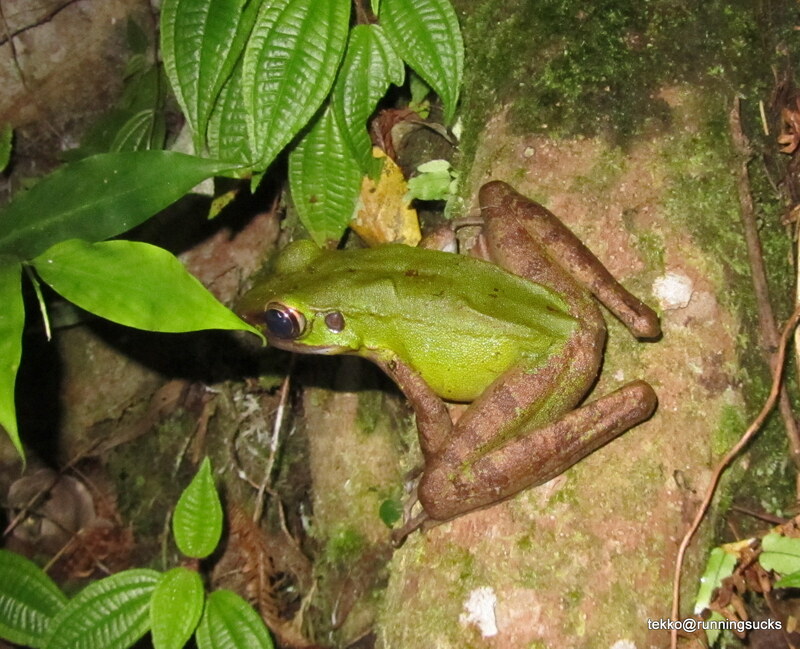 We also saw a green forest frog. In fact, subsequently we saw a few more of the same species. They were so well camoflauged that if not for the guide pointing them out to us, we may have missed them seeing that it was totally dark in the trails. The guide also showed us this weird little creature. At first he mistook it for a firefly. But on closer examination, it turned out not to be but was in fact a caterpillar. And the interesting thing about this caterpillar? It glows in the dark! 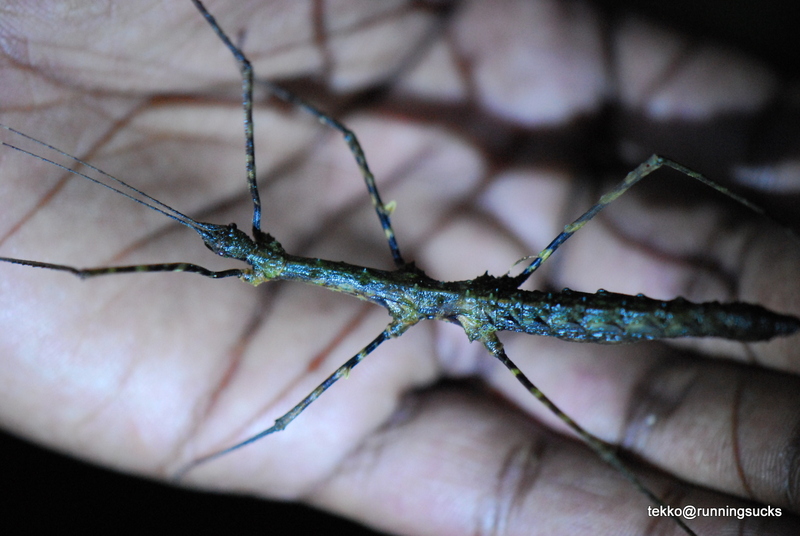 Next we also saw this long legged creatures. It is as I understand a centipede although the guide claimed he has not seen it before. All in, the whole trek took us slightly over 3 hours out of which about 2.5 hours was spent actually in the jungle and the rest was the return trip to the car via a kampung road. So yes despite the rain, we took longer than we expected. In fact, I believe if not for the rain we could have spotted more creatures but the rain has forced them to take cover leaving us silly human to walk in the rain and waiting to get a cold!